No one suffers serious injuries when the vehicle failed to yield to traffic at Main and Stroudwater streets and barreled into the First Baptist Church. 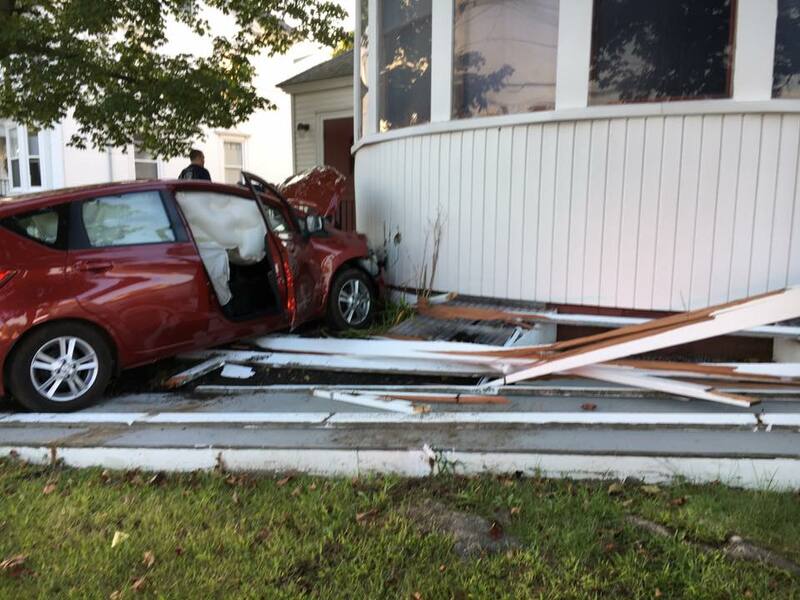 Three adults and a child escaped serious injury Tuesday night when the car they were traveling in crashed into the First Baptist Church in Westbrook, police said. The crash at Main and Stroudwater streets occurred at about 6 p.m. when the car attempted to cross the intersection and failed to yield to traffic on Main Street, police said. The driver pressed the accelerator to get across the intersection, but lost control and drove into the church, according to a statement posted on the Westbrook Police Facebook page. The vehicle is believed to be a total loss. The church sustained minor damage. The child in the car was not injured, but the three adults were transported to the hospital for minor injuries. Police did not identify the adults or say whether the driver received a citation.